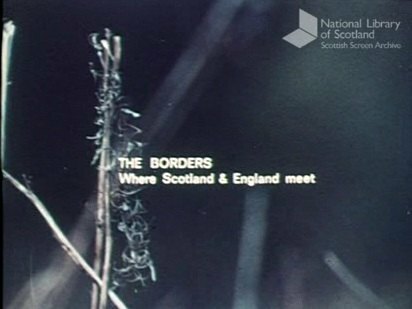 Short film showing the changing forces in the traditional borderland; in the fishing and textile industries, farming, forestry and housing. Directed by Mike Pavett and produced by Edinburgh Film Productions. Sponsored by Films of Scotland and the County Councils of Berwick, Northumberland, Peebles, Roxburgh and Selkirk. Shown at Edinburgh Playhouse Cinema, week beginning 9 November 1970.